The spiritual leader of the "settlement" movement, former head of Merkaz Harav Yeshiva, is remembered by today's Rosh Yeshiva, who grew up in his environment. Rabbi Shapira is Dean (Rosh Yeshiva) of the flagship religious Zionist yeshiva in Jerusalem, Merkaz Harav, founded by Rabbi Kook. 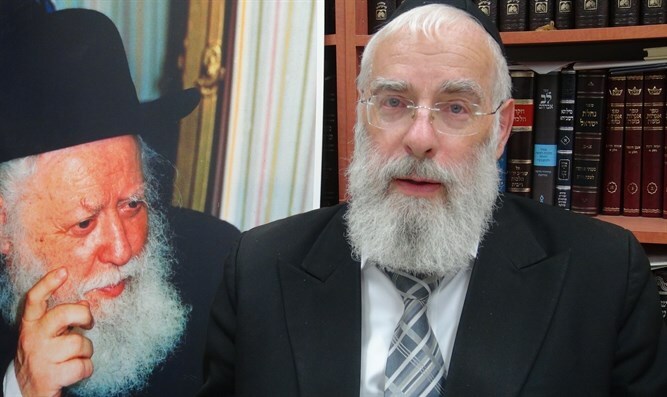 A noted Torah scholar and leader, son of the late Chief Rabbi Avraham Shapira, he is member of the Supreme Council of the Chief Rabbinate of Israel..
Excerpts translated by Arutz Sheva from the Rosh Yeshiva's (yeshiva dean, ed.) shiur (Torah lecture) at Merkaz Harav Yeshiva in Jerusalem. On Independence Day, 5727 (May, 1967), the State of Israel was under great tension and the danger of war was imminent. Independence Day had already become an occasion for the central great celebration at Merkaz HaRav Yeshiva in Jerusalem. The then Rosh Yeshiva, Rav Tzvi Yehuda Kook, gave his traditional speech, yet in its course he suddenly cried out in pain: "Our land has been divided. Have we forgotten those parts of Eretz Yisrael which are not in our hands? Where is our Jericho? And where is our Hevron? And where is our Shechem? Can we possibly forget them?" Just three weeks later, the Six Day War broke out, and with God's help, without anyone's planning it, Jerusalem, Judea, Samaria, the Golan, and Sinai were all liberated. The words of Rav Tzvi Yehuda, recorded for posterity, seem a mystic prophecy. It is more than thrity years since our beloved Rav Tzvi Yehuda left this world. My father (the late Chief Rabbi Avraham Elkana Shapira, ed.) , Rav Eitan Eiseman and I were among the last people to see him at the hospital before his passing. He was on oxygen and tried to remove the mask in honor of my father, zts"l, he was wearing woolen tzitzit (fringes, ed.) and spoke with difficulty. But he grasped my father's hand and they sat in silence for several moments, and as we left, he managed to say "May you have a joyous Purim" – he did not realize that this was a prophecy enjoining us to overcome our grief when he passed away shortly after the visit - and celebrate the holiday. I am permitting my unworthy self to speak about him as I knew him for many years, actually from the age of 8 days when he held me at my brit and up to the day of his death. Even after biographies are published, there is always something more to tell, after all, publishers are flesh and blood and have to decide what to put in and what to omit. Here are some things they did not write. Rav Tzvi Yehuda convinced my father to come to Merkaz Harav Yeshiva. They davened together in the shtibluch (small prayer rooms, edl) in Meah Shearim every day and he liked my father's impassioned davening. He was the same – I recall as a child that I would see him praying so deeply that he would hit the wall with his fist without realizing it during the High Holyday services and that when he spoke before Shofar blowing, he would speak by heart with his face covered with his prayer shawl. As he spoke, he would move his shtender (podium, ed.) sideways while grasping it, until at some point he had moved it so far rightwards that the listeneners were all the way to the left of him. Only the great tzaddik Rav Arye Levin (called "father of prisoners" for caring for the needs of Irgun prisoners later hanged by the British, ed.) was able to remind him that it was time to blow the shofar because it was not fair to the congregants. At prayer time, he would make sure that the students didn't pray too quickly. He would admonish those who said the blessing of the Torah without concentrating on it, as if someone was hurrying them. When he said "asher yatsar" (the prayer on the complexity of human physiology said each day, ed.) he put meaning into each word, would stand still and concentrate on the last words "and He cures each living thing wondrously." The world did not really know about Rav Tzvi Yehuda, because he tried to stay hidden. Rabbi Kotler zts"l once asked the Gerrer Rebbe how it is that the Chafetz Chaim kept his genius in Torah hidden – of course, nowadays everyone who learns halakha knows of it – and did not also hide his righteousness? Surprised, the Hassidic Admor answered "I don't understand you. Do you think that the Chafetz Chaim considered himself righteous, thought that he had something to hide?" Even if a rabbi's followers fill his house from dawn to dusk, he can still be a hidden tzaddik, because there are always hidden aspects of his life that no one knows. 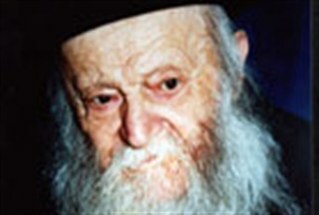 Rabbi Yechiel Michel Weinberg (Swiss rabbi, author of The Sridei Esh Responsa) called Rabbi Tzvi Yehuda a "modern day tzaddik". Tzaddikim always hide and don’t' try to stand out. And Rav Tzvi Yehuda? Here is a Jew that the whole world considered a hidden tzaddik, but when it was time to stand up on the barricades and give his opinion on difficult issues, didn't care what would happen. Nothing could stand in his way when it was necessary to act boldly. Once, in the month of Elul, when Rav Yisraeli's lecture was running late and some of the boys were hungry, they walked out and began the evening prayer outside the lecture hall. They not only acted with chutzpa, they also interfered with the lecture by making noise praying. Rav Tzvi Yehuda heard about it and came to the first Slichot (Ashkenazi) Service held late that Saturday night before Rosh Hashannah. While the cantor was putting on his prayer shawl, the rabbi took a shtender, banged on it and said: "There will be no slichot until the boys who showed such chtzpa apologize to Rav Yisraeli". And the entire yeshiva waited until they did. That was the best mussar (ethics, ed.) lecture he could passibly have given, teaching the students to respect Torah sages – and, that students must not make light of Torah lectures, as, he said, it has been shown that they always regret it later on in life. He would not enter the Beit Medrash to start a lecture until he saw the boys sitting up front to listen, because he did not want them to stop learning Gemara because of his arrival. Once he waited at the door and when they continued studying together without noticing his presence, went quietly home without lecturing. The boys soon came to his house and begged for the talk, so it took place next day at his home. How much more lowly each generation is than the one preceding it, he told them, and they understood the hinted message. Rabbi Rakovsky of Hadassah Hospital told me that Rav Shlomo Zalman Auerbach zts"l came to visit Rav Tzvi Yehuda, explaining that he always learned something new that no one else had yet said from the son of Rav Avraham Yitzchak Kook. For example, Rav Tzvi Yehuda expounded the reason for saying "because You are the One we praise" in the middle of the blessing in the Silent Prayer that asks for G-d to heal our diseases, because even in the most personal and silently private of prayers, we must remember that our mission as a people on earth is to sing G-d's praises, and to be part of the group that does so. At the funeral, one of the speakers said that Rav Tzvi Yehuda fought for Eretz Yisrael every day even when he was almost eighty years old. No one of our generation loved this country as much as he, and even his death was on Adar 14 at 8 a.m., not the 15th, as the second day of Purim was established by Esther and Mordechai in honor of Eretz Yisrael where there were once walled cities. He had great and boundless love for those who learned Torah, loved Torah, respected Torah and yeshivas wherever they were. He would repeat the Talmudic saying that he who seeks honor only finds that honor escapes him, but added that he who tries to avoid being honored all his life will have it catch up with him on the day of his death. And that is what happened – in the middle of Purim, the streets were filled with students and masses of others who came to give him the last honor of attending his funeral. We at the yeshiva knew that the real honor is always Torah,even if the media do not write one word about it. The greatest honor is Torah, spreading Torah so that its influence gets mightier and mightier,, that is the greatest honor any man can acquire. I remember how Rav Tzvi Yehuda helped "Yad LeAchim", the group that fights missionary work in Israel and donated funds to them - and when he sent students to demonstrate against the performance of the Messiah in Jerusalem (because it called Christ the Messiah, ed.) , and when some of the boys were arrested, he and all the rabbis of Jerusalem gathered at the old yeshiva courtyard, gave shiurim and marched with them to the jail in the Russian compound. One must be willing to sacrifice for one' s beliefs, every step one takes must be a levelheaded one, he said, and as it says in the Gemara, there are commandments you can delegate but there are others that you must do on your own. I have tried to grasp part of the hem of Rav Tzvi Yehuda's mantle of greatness to tell you about it, in the hope that his merits and his great love of spreading Torah will find a true and pure way into our souls. May his memory be for a blessing.